Orlando, FL, USA (June 21, 2016) – A lush, tropical oasis unfolds before you, instantly transporting you to a little-known Pacific isle. In the distance, a colossal volcano rises above a sparkling beach, boasting majestic waterfalls by day and blazing lava by night. 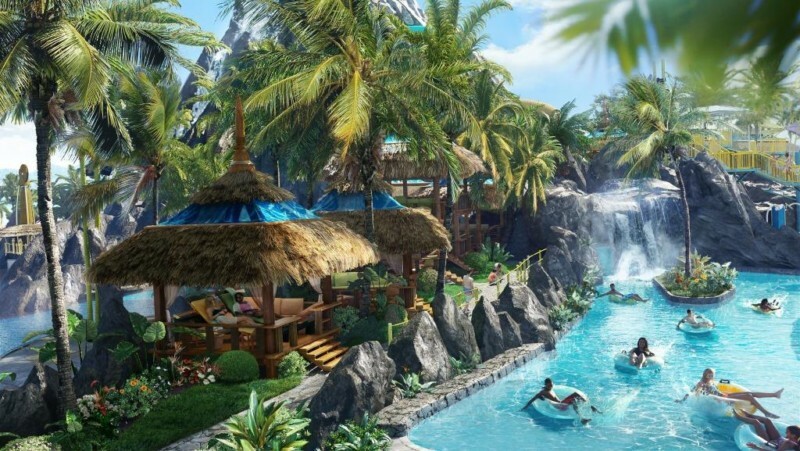 Volcano Bay will offer 18 unique attractions ranging from daring to serene. They’ll be divided across four primary park areas where there’s something for everyone, including a multi-directional wave pool with sandy beaches, peaceful winding river, twisting multi-rider raft rides, speeding body slides that drop from the top of the volcano into the waters below – and a state-of-the-art marquee attraction that will be revealed at a later date. Additional details on the park’s attractions can be found below. 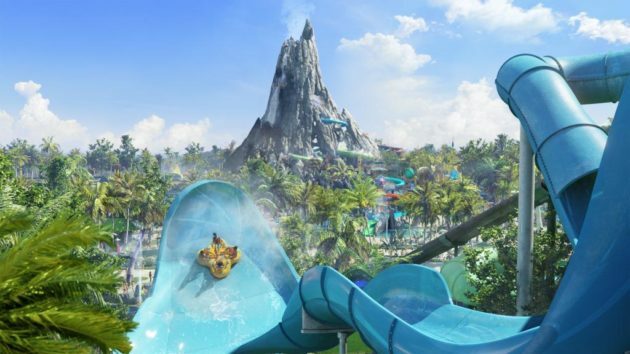 Volcano Bay is being brought to life by Universal Creative – the same team behind ground-breaking theme park experiences like The Wizarding World of Harry Potter, The Amazing Adventures of Spider-Man and Despicable Me Minion Mayhem. The team researched water parks and tropical resorts around the world to help redefine the water park experience and shape their vision for Volcano Bay. A state-of-the-art marquee attraction found only at Volcano Bay. More details will be announced later.